Liberian students, like many in Africa, often have to attend school on empty stomachs. The challenge of ensuring that children are fed in Liberia is an ongoing issue and many state and non-state actors are focused on successfully addressing it. In the context of a fully functional education system underpins the ability of students to succeed and benefit from education initiatives that are put in place by the Government and stakeholders. If the Government wants Liberian children to learn and improve in learning then the feeding challenge must be tackled. Children are unable to concentrate or perform well if they are hungry. A recent WFP survey highlighted that malnutrition of children under 5 years old is a persistent problem in Liberia, with 35.5 percent stunted and worryingly, 15 percent underweight. The President’s State of the Nation address this week tackled the issue head-on when he announced a $30 million dollar investment into a school feeding program that began last year. It is expected to benefit over one hundred thousand (100,000) school children in 240 primary schools, across four counties, primarily in the South-Eastern counties of Liberia. For those supporting the Government to improve education outcomes in Liberia, particularly in such hard to reach areas of the country, it is welcome news. Alongside new investment programmes partners in the education ecosystem are exploring new initiatives to support students. One of those endeavours sees the World Food Programme (WFP) and Mary’s Meals partnering with Bridge, a LEAP programme provider, to pilot a feeding programme across two counties impacting thousands (3,240) of children. The program is designed to enable children to be able to concentrate in the classroom. As part of the Government’s efforts to improve learning outcomes, the school day has been lengthened, with children being fed to be enable them focus on their lessons. The feeding programme sees Mary’s Meals supporting community cooks by providing rice and beans to school campuses. The food is then prepared and provided to students during recess. 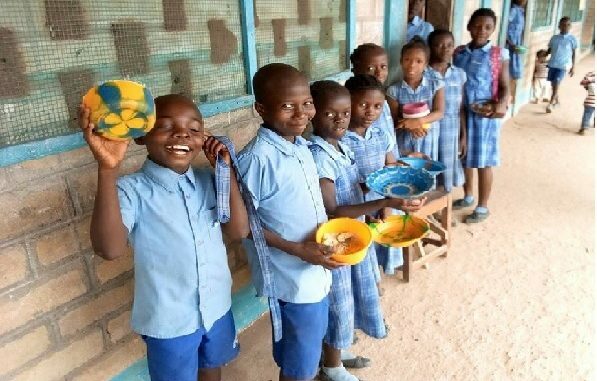 Twelve Bridge-LEAP schools are so far benefiting from ‘School feeding program’ in Bomi, Nimba and Grand Cape Mount Counties. It is hoped that if the programme proves a success then the programme will be expanded across other LEAP schools. Bridge schools in Liberia are enabled because of generous philanthropic support, partnerships such as the one with Mary’s Meals that help strengthen the learning environment in schools and enable children to excel. The Government of Liberia should be praised for the focus that they have put on improving education outcomes in Liberia. The Liberian Education Advancement programme (LEAP) is a African leader when it comes to public system transformation. However, as with all transformation the project is complex and tackling issues such as feeding will be essential to enable the success of the bold education initiatives. WHO ARE THE FINALISTS & THEIR CHANCES FOR PU?